Can I make and sell Disney items with my Silhouette Cameo? You cannot legally make and sell any product with Disney lyrics, quotes, or characters on it without permission from The Walt Disney World Company. While some companies turn a blind eye and don’t actively pursue sellers selling their trademarked properties; Disney employs a team of people whose only job it is to hunt down people/companies using their trademarks without permission. Additionally, Disney has an email address for anyone that sees your item to turn you in themselves on the Disney website. You can access information on emailing violations to Disney at this link. If Disney chooses to pursue a copyright or trademark violation against you, your store or shop can be shut down, you can be forced to pay back all monies made from the items, your equipment could be confiscated, and you can be prosecuted for trademark/copyright infringement. Unfortunately for small sellers, Disney has far more resources to legally pursue you and you will not win the battle. Disney does offer licensing to other companies to create and sell Disney products. You can find details about licensing at this link. However, it’s unlikely that any at home craft business will be able to meet the licensing requirements. Some Cricut cartridges have Disney images on them. These images are for personal use only as detailed in Cricut’s Angel Policy. Why? Cricut and Disney have a license agreement that allows Cricut to make and sell the cartridges, but the license agreement is between Cricut and Disney – not Disney and the end user (you). You can make personal use Disney creations for yourself. As long as no money exchanges hand, it’s unlikely that you’ll be bothered by Disney. It’s important to realize that many personal use creations are still trademark infringements (like those that are traced from an internet photo). However, it simply isn’t worth it for a company to come after an individual who isn’t selling the product. I am so glad you posted this! I’m an Etsy seller and I specifically do not use licensed characters in my designs because I’ve always thought it was illegal. But if you were to search “Mickey mouse” on Etsy, hundreds of items would come up that are considered trademark infringement. I also noticed sellers are now adding something like ” I don’t claim any ownership of these characters you are simply paying me for my time to create cut and glue, etc.” I hope they don’t think that actually makes it legal. I appreciate this topic. What about things purchased, like through Cricut, that are Disney related? 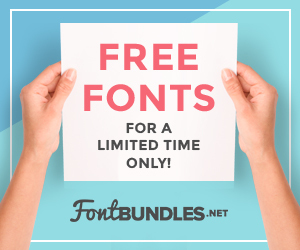 Fonts and images that you can buy. Are those still relegated solely for personal use? Thank you for this article! I’m always explaining this to other crafters and customers. Most of them think I’m being uptight, but getting shut down or having to pay back fees is the last thing any of us wants. Thanks, again. I’ll be referring people to your article. Hello! Here in country a trademarker caught a little cookie store in a fancy street with Mickey cookies…obviously they win and the store shut down. It was a sad story but even when we are in southamerica we must have caution about what are we selling. Thanks for sharing Denisse! I completely agree! Hello, what if you purchase a design by someone that does digital svg/vector files and is allowed for commercial use? How does that impact small business sales and craft fair sales of those designs on products? Hi Dina, Most likely if you purchased a Disney cut file from someone – they don’t have a license to sell it. If they do, ask for a copy of their paperwork. If they have paperwork, they will be more than willing to share it. If it could cause consumer confusion with something else that is trademarked I wouldn’t bother. Even if you did cut a three circle shape, you can’t advertise it as “Disney”, “Mouse”, or “Mickey”, because those are clear infringements. Hope that helps! what If you are doing a custom order of the Mickey ears with just their name on it or not using the word Disney? Would this be okay as long as your not making bulk items and selling? The Mickey ears shape are property of Disney. I’ve gotten a letter from Gerber because I used the word “onesie” to describe how you would use a baby milestone sticker. I was so careful in not doing anything with copywright and then that happened. It does irk me that so many people on etsy and blogs use the word “onesie” so freely and not get in trouble. My question actually is what if you were to just do a Disney character pinata diy for a Disney theme party. Not for sell, but what people can do for their own personal party. Would that be fine since it’s not for sell? I’ve seen lots of craft and party blogs doing disney characters and just wondering if that does not apply to the copyright rule. Hi Nancy! Making a Disney anything is still an infringement in someone’s home, but Disney doesn’t come around unless someone is selling a product. There would be no financial gain for Disney to come after people in their homes. In fact, they encourage DIY projects, as long as you aren’t selling them. My sister is going to Disneyland in a week and wanted me to make tshirts for her family to wear that have the disney ears and then their names written in the disney font. I am not selling anything – just making it for her own personal use. Am I allowed to do that? Hello! It is still an infringement, but without any money changing hands – you aren’t likely to be impacted. Hope she has a great trip! Why Etsy does not block such shops? It isn’t their responsibility. They haven’t been hired by companies to be trademark infringement police. Hi. It is legal if I buy disney fabric and make diaper cover and sell. And if I buy disney ribbons and make girls bow and sell. Hello! You’d need to check the licensing information (generally found on the salvage of the fabric). I don’t know about ribbon. But I presume, it would be written on the packaging. Hello! I am a little confused. I want to design shirts and wine glasses for moms with cute sayings on them. For example, Tshirt that says “I only make boys”. If I can get into trouble using the cricut font that I purchase, in order to create the slogan on the shirt/glass ;do I have to re-create a font so I can legal sell a product? In other words, how do you sell items with only text, without having to worry if the font is an infringement? I’m in the custom fabric world and copyright infringement runs rampant there. Some designs are cute, but I am hesitant to even buy for personal use because I know they aren’t licensed. If the designer gets caught, I’m not sure if they’d go after people that bought the fabric as well. Yes, in the sewing world fabric copyrights are a big deal. I am currently mid debate with someone over Disney copyright. I know about the commercial usage element of it but I run a fb group where the members show cards they have made, some like to use copyright characters. It has always been my understanding that characters can be used on items that are intended for personal use only, for family or friends, and can be shown in an online group as long as they are clearly marked as ‘not for sale’. Have I misunderstood this? Hello! Trademarked material used for personal use is still an infringement of the trademark. However, since it is not being sold or used for any monetary exchange – it is hard for the trademark owner to come after the infringer. Thank you Christine, I understand to a degree but am being told categorically that any showing of any Disney themed project is in violation of their copyright and will result in trouble for our group. I just want to know if I need to remove all images and put a blanket ban on any future displays of hand made items using such characters. Disney is not a company I would willingly choose to be ambiguous about when it comes to their copyright. Unfortunately, I’m not a lawyer or attorney and cannot advise you on specifics related to your group. The are several art based pro bono legal groups online that might be able to help you with specifics. Would it be a copyright infringement if I make purses/bags that resembles certain Marvel, DC, Disney, or anything geek related but have zero logos but you can tell what it is. I would be selling these at craft fairs only. I won’t be ironing on things, this would be a sewn from scratch type purses that just have the resemblance of characters on it. Or let’s say a the Tardis from Doctor Who. It will look like the Tardis, but a few things will be off and nothing stating Doctor Who. If this is still illegal, how do I obtain licensing and does it cost a lot of money? Generally, if it is recognizable as a popular character – it is an infringement. But, it’s best to run specific questions past your legal team. For licensing, you’d reach out to each company for permissions. I don’t have a legal team to ask questions to. I am just a crafty person who wants to sell stuff at craft fairs; thus the reason for me asking questions on here. I’ll look into each company for licensing. Happy to help! There’s also free legal counsels for artists that you can find through a quick Google search. Hi, I have seen several small businesses using Disney Font on their plaques. Are you allowed to hand write Disney Font? No, the several lookalike fonts around the internet are not published by Disney – only by fans. Disney doesn’t sell their fonts to the public. You’d need to ask her for the licensing information from the school with the business name she operates under in your store. Yes, if you are knowingly and willingly selling knock offs your store could be held liable. help! Is it infringement to use a Disney character with some other words on it (not claiming the credit of the character) as the logo for your online shop ? Would I be able to use the name of Disney Princesses and associated colours for my products, without their images or any reference to Disney? For example calling a product ‘Cinderella’ and using colours such as blue,silver,white etc. but use my own branding so as to create a theme that could be interpreted as a Disney Princess? Hi Lauren! That’s a shade of gray, really. You couldn’t use the name Disney nor Cinderella without written permission. The definition of trademark infringement is “likelihood of confusion”. This basically means that if a customer is confusing your product with a trademark owned by someone else – they could take action against you. How would someone go about getting the license from Disney? What information is needed? And, any idea of the cost? I suppose they change according to the volume you sell. Hello! Here’s the link: http://www.disneystudiolicensing.com/. It’s highly unlikely you will be able to get licensing if you are an at home craft business. Would you please give me all the legal advice you have so I don’t have to look it up and do it myself? Is it illegal to illegally use illegal copywritten images? If I do something illegal and they find me, can I say I used your site and even though you said don’t do it I did it anyway?? ;P Obviously this is all tongue-in-cheek and it boggles my mind that folks don’t want to do the work to look up what is, or is not, legal to do for their business. Thanks for sharing the info you have, and for putting up with all of the ensuing questions! Happy New Year! LOL! This made me smile, Kristin! Happy New Year! I have heard 2 different things from different legal “sites” about using licensed fabric to make stuff to resale. “First Use” laws as well as some court cases where the crafter that were dismissed because of it. It can be very confusing as far as fabric goes. It absolutely can be tough. I like to err on the side of caution with fabric, because I don’t have the funds (or time!) for a court battle. Hi! Can I sell hand painted Disney characters on wooden boxes on Facebook to family friends and public? On my personal Facebook profile but also on a Facebook page? No, not unless you have a licensing agreement with Disney. I don’t understand why it is so hard for people to realize that if you can look at something they made (i.e 3 circles) that make you think of a certain mouse, you can’t sell it. No way, no how! And that goes for any other recognizable item or character. They definitely do – and rightfully so!